From the time you were able to drive, your car has been a symbol of independence: being able to go where you want, when you wanted. If your first car was an older vehicle, it is possible you spent a lot of time looking for parts to fix it. Parts stores and local mechanics serve as a lifeline to what has become a necessary utility, and they might soon see a paradigm shift. The automotive aftermarket was $318.2 billion in 2013 and is projected to hit $421.2 billion in 2020 according to Autocare.org. This represents a lot of cost in shipping, packaging and logistics. In addition, original equipment suppliers (OES) have an obligation to produce and ship parts for its vehicles for 15 years. This represents a lot of cost in shipping and inventory. Fortunately, technology is progressing and helping to alleviate the cost. With Binder jetting and selective laser melting (SLM), additive manufacturing (AM) is reducing the cost and may soon disrupt the automotive aftermarket. We at GKN have seen the benefits of powder metallurgy, and understand the importance of starting with quality materials. In addition, as the process changes so do the properties of the finished product. Some initial research was done at institutions and universities, so many industry experts feel AM is comparable to conventional parts. While the material properties are comparable to conventional processes, AM cost is probably the biggest concern. Currently, it may cost 10 to 15 times the amount to produce a part with AM. 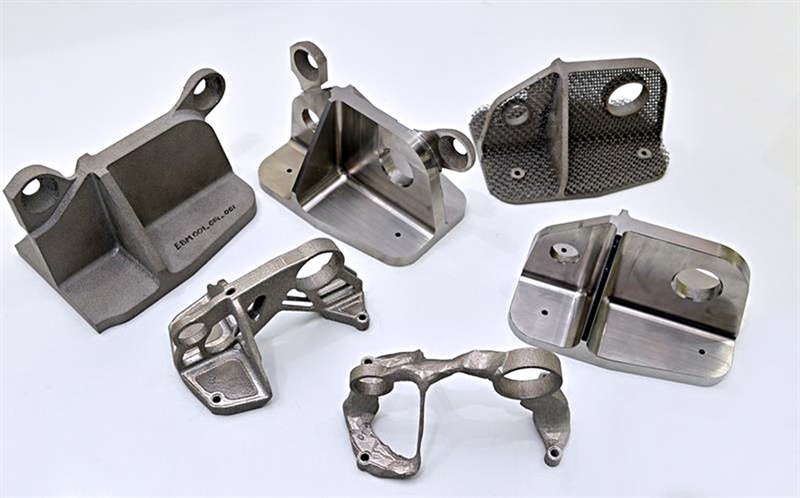 However, cost can be mitigated by combining multiple parts into a single print, by optimizing a part’s geometry to reduce weight, or to reduce the cost associated with tooling. In the last couple years the price for AM has been reduced while improving production capabilities, which have many experts betting that SLM, and perhaps more likely, binder jetting will start to disrupt conventional processes in the next 5 to 10 years. As metal 3D printing starts to close the production and cost gap with conventional methods, designer will enjoy freedom from tooling and molds. Designing a car with AM parts is a radical shift that will take time to occur. Using AM in the aftermarket is more likely, and will serve as a test to get real world data for designers and OESs. An OES will need to see material data to prove that an AM part is the same as a conventional one. This opens up the Independent aftermarket (IAM) as they don’t have to follow the same guidelines and rules as an OES. In addition, if the part is over the 15 year obligation it can be difficult to find parts. Since the OES is private there may be no tooling or even prints available. The cost associate to re-tool a IAM for a short run of these parts may not be feasible. That is why we will see this happen first with high-end older cars. Small parts that don’t see large loads will be the first to switch from conventional to an AM process. This would eliminate most parts from the drive-train, but include many sheet metal parts. This has started with companies like Porsche, but I think in the next 5 years AM will become a norm in high-end older vehicle aftermarket parts. These early adopter will set the pace as Binder jet and SLM start to close the production and cost gap to enter the automotive aftermarket on a mass scale. One of the biggest things that will move AM technology beyond rare or high-end older car is more than just the process and design. In the next 10 to 20 years AM could be found at a local mechanics shop, parts store, or most likely a dealer. There will have to be some form of quality control over the entire process to ensure the part being produced at one location is the same as another. The printer and design can be the same, in fact, there might be a new market just in licensing and certifying in the automotive aftermarket with AM. However, if a location decides to use a different metal powder, the material properties of the part could change. Certifying powder and printing from licensed designed will see new challenges as AM become more accessible. Quality control is important and it will take companies with this knowledge and understanding like GKN Driveline and GKN’s AM that will be able to assure everything from beginning to end. While there is a lot of work to be done, companies must start now if they hope to capture the data, knowledge, and supply chain necessary to disrupt the automotive aftermarket.